Teen and young adult adoptees who grew up in fully open adoptions discuss their relationships with their adoptive and birth families and the many benefits openness has brought them. When the domestic adoption paradigm shifted from closed placements to open adoptions several decades ago, naysayers worried that children might be confused or feel a sense of divided loyalty to two sets of parents, that birth parents might feel their privacy had been invaded, and that adoptive parents might feel as if they were “co-parenting.” Now that the children placed in those earliest adoptions have grown up, they are speaking out and the messages are clear: Openness trumps secrecy. Having answers to your questions precludes the need to wonder “why” and “what if” and leads to healthier identity formation. Having relationships with your biological family members and seeing your parents encourage and facilitate those connections leads to closer relationships all around. 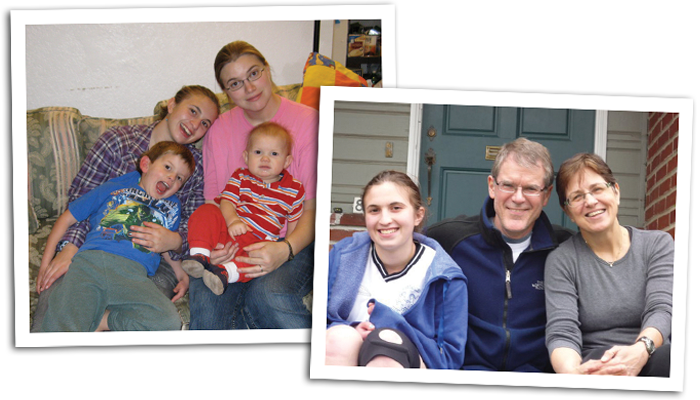 A group of teens and young adults who were adopted through Open Adoption & Family Services, an agency founded on the philosophy of openness 30 years ago, share their long-term experiences. 1) How do you feel about having an open vs. a closed adoption? Blake: If I were in a closed adoption, I feel like my parents might try to hide it from me and, when I figured it out—because the kid will inevitably figure it out—I would feel like I didn’t belong, like I wasn’t supposed to be there. (With open adoption) I don’t have to go on this soul-searching journey to find out who my parents are, where I’m from. I already know. It’s laid out for me. I know where I came from and I know who I am now. 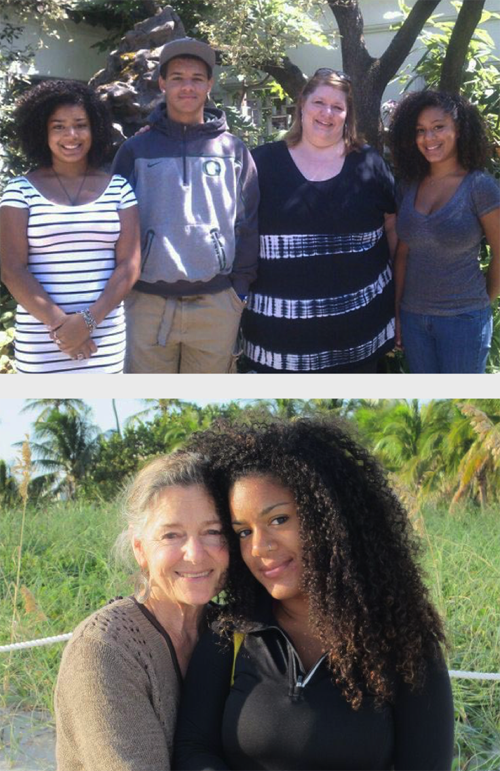 Taylor (pictured above with her birth mother and birth siblings, left, and her adoptive parents): Having an open adoption means that there’s not a part of you that’s missing. I have all my pieces. I’m not missing anything. Gabriel: I am very much in favor of open adoption because the relationships I’ve had with my birth mother and siblings have really enriched my life. I don’t think I would have gone on a quest to find my birth mother. That’s just not the kind of person I am. I am still very glad that I know who she is and that I can see her and talk with her, basically, whenever. I don’t feel I would’ve turned out all that differently if my adoption had been closed, but I would definitely be missing something from my life. Darcy: Closed adoption leaves space to make up stories or reasons why you were put up for adoption because you wouldn’t have the answers. You could think that you were just left there because no one cared about you. What I learned from asking my birth mother is that she cared for me and she wanted me to have a good life. If I hadn’t known that, I probably would’ve thought the worst. I’m incredibly grateful for having the opportunity just to talk with the people who created me and tell me the reasons behind it. Open adoption benefits the kid and all the parents. Justin: I don’t think closed adoptions are the right thing to do and should be avoided. I feel strongly on this because I was raised in an open adoption and I definitely think it’s the right thing to do. I mean, if kids turn 18 and find out only then that they’re adopted or are only then able to contact their birth parents, it can rock their world and confuse them. They might question their childhood and their upbringing, and I’m glad I didn’t have to go through that. I’ve known my whole life. 2) Have you always known about your adoption? Claire: Yes, I have always known. My adoptive parents did a great job of telling me the details of my adoption and keeping me in contact with my birth mom from day one. Gabriel: Yes, it was never a hidden subject at all. 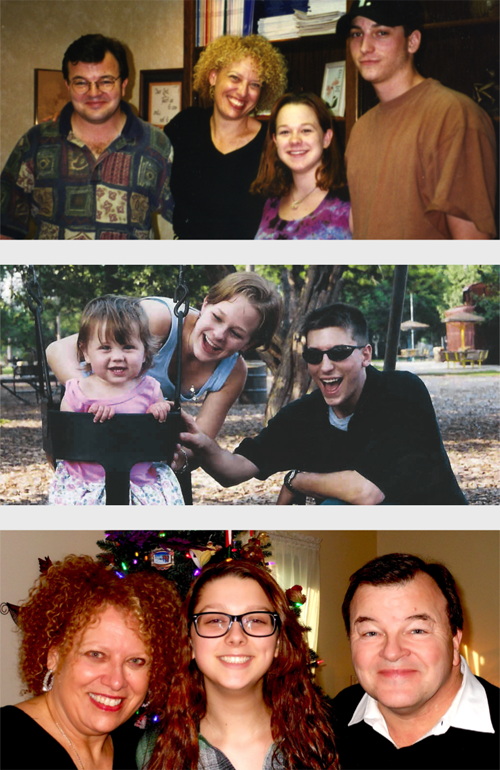 My parents have always been very, very open about the part adoption has played in my life, and it’s been the same for my sister, who’s also adopted. It’s never been a secret or anything terrible, nothing hanging over your head. It’s actually always been an added bonus to our lives, instead of something that we’re ashamed of. Taylor: I’ve always known that I was adopted. I grew up knowing my birth mother and visiting her. My parents never hid it from me. They always welcomed her into our house. When I was little, my pre-K teacher was trying to explain to my class where babies come from—which, of course, is not an easy topic. She told us that babies come from their mommy’s tummy and I raised my hand and said, “No, I don’t come from my mommy’s tummy. I come from my friend Rebecca’s tummy.” My parents always tell me that story. They love it and think it’s so funny. 3) What is the nature of the relationship between your parents and birth parents? Nathan: The four of them are friends. My birth dad lives in Australia, so I can’t really see him as much as I’d like to, but my birth mom lives nearby. I see her a lot. 4) How would you describe your relationship with your birth parents? Your birth family? Brianna: We visit during the year when we can. During the summer I usually fly out and see my birth family. My parents might come for some of the time, and then I spend some time with them on my own and we do normal family stuff together. It’s awesome. Gabriel: I have two birth siblings, and it’s just really cool to see the traits that I have that they have, all the things we have in common just from genetics. I think in a normal brother-sister relationship, this would just be an everyday occurrence, whereas here it’s more special. 5) How have your adoptive parents shown that they value your birth parents? 6) What do visits with your birth parents mean to you? Darcy: I love when she visits. It’s the greatest thing in the world because you can’t really get the emotion behind computer screens or letters or text messages—it’s just words. When you meet, you can feel the emotion in someone’s voice. I personally feel a lot closer when we’re together. Gabriel: I think that an in-person meeting is way, way better than anything you can achieve online. As good as Skype is, being able to be there in person, in the flesh, with no speed-of-light delay where everything is half a second behind, is meaningful. Justin: I think it’s been very important to be able to meet and talk with my birth parents rather than being pen pals. 7) What qualities of your adoptive parents do you appreciate and value? Justin: My parents are kind, caring, respectful, trustworthy, easy to talk to, good listeners, good advice givers, and just good people in general. Brianna: My adoptive parents raised me, so that’s definitely something I appreciate. They’re very understanding of the fact that I want to be a part of my birth family’s life and they want that, too, so it’s never been a struggle. That’s a really big part of what makes this whole thing work and I very much appreciate that from them. Nathan: My mom is extremely compassionate, caring, kind, and she always knows what to do. My dad is one of the smartest people I have ever met, and he’s always there for me. He’s a huge resource in my life. They’ve taught me how to be nice to others, how to take care of people and how to be a decent human being. Claire: My adoptive parents have so many qualities that I appreciate and value. I think one of the main ones is that they’ve always been honest about answering any questions that I might have and open to talking to me about my adoption. I feel like some adoptive parents might feel threatened by an independent relationship between an adoptee and his or her birth mom or birth father, and I never felt like my parents felt that way. 8) How has open adoption made you who you are today? Nathan: I believe in things more easily and I’m more accepting. I mean, I have four parents and three siblings spread across the world, and if I can have that, then why can’t you have what you want at the same time? It just all works out. 9) What do you want the world to know about open adoption? Deciding to Adopt: What About Birth Families? “We cannot build healthy relationships with our children on secrecy ..